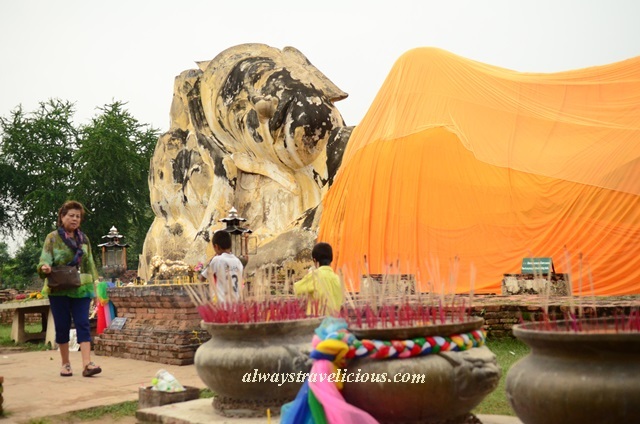 Wat Lokayasutharam @ Ayutthaya, Thailand - Always Travelicious ! 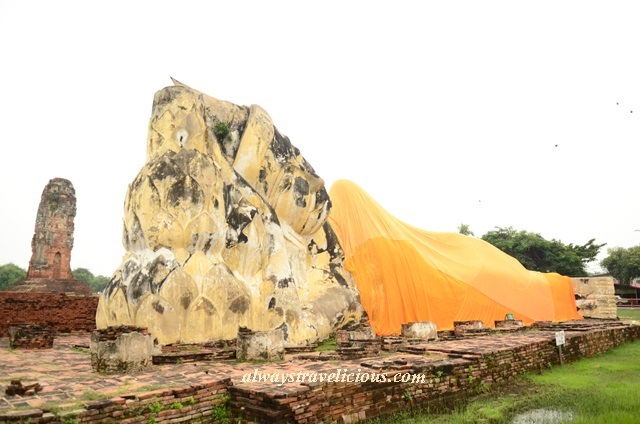 Basked in sunlight by day, moonlight by night, the reclining Buddha, “Phra Buddhasaiyart”, draped in yellow cloth at 37 m long sleeps peacefully on a lotus pillow. 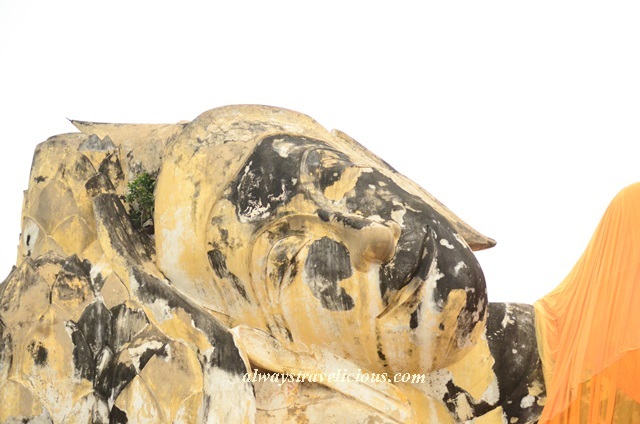 While Wat Lokayasutharam is categorized as a temple, the temple grounds are barely visible. The Buddha itself and the tilting prang behind him are the only recognizable remains of the temple. The miniature Buddha and Buddha’s feet are favorite places for devotees to place gold foil during their prayers.